Ca. 1912 photograph of the flour mill on Conesus Creek in Littleville, NY built by Emme Light in 1878 and subsequently operated by his sons John and William. Glen Avon Mills sold several trademarked varieties of flour, including “Peerless,” “Sweet Violet,” “Daisy,” and “White Rose.” Ownership of the mill passed to Lucy (Light) McDonald who in 1949 leased it to a Dutch miller named George A. Bass. In 1951, the town of Avon purchased the mill for its more valuable Conesus Lake water rights, then sold the property back to Bass. Glen Avon Mills ceased operations sometime around the late 1950s. 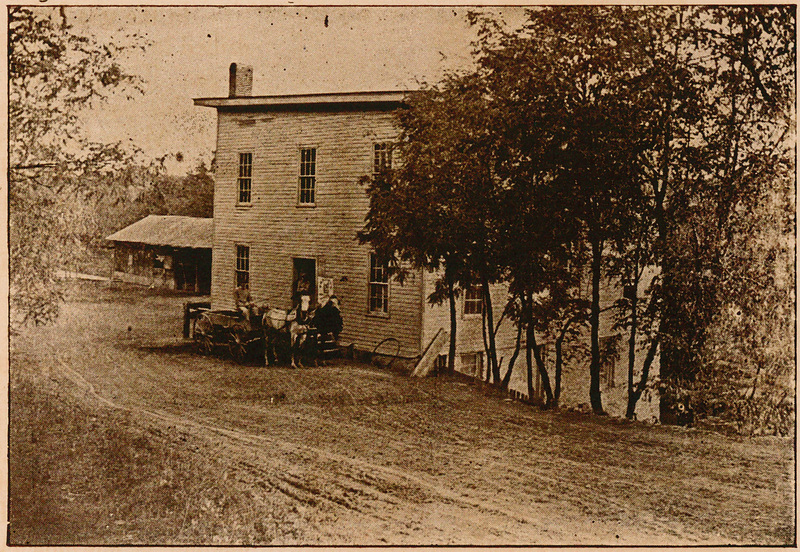 “Glen Avon Mills,” OpenValley, accessed April 25, 2019, https://openvalley.org/items/show/60.